In Brandsdal Group we strive to create a culture where all our employees can feel like they are seen and included. We try not to take ourselves too seriously. Let the laughter flow – it is supposed to be fun at work. Our turnover has gone from 16 mill. NOK in 2002 to 800 mill. NOK in 2017. Today, we have about 160 skillful employees at our main office in Kristiansand in Norway and another 17 at our warehouse in Flensburg, Germany. Our offices are located in Mjåvann Industry-area in Kristiansand and in Schleswiger Straße in Flensburg, Germany. Our main office in Kristiansand consists of two buildings. One warehouse for heavy-goods and one combined warehouse and office-building where our Norwegian administration is gathered. All in all, we are 160 men and women – 27 different nationalities – who work in Kristiansand. Our warehouses here serve our Norwegian webshops and you will also find customer service, marketing, sales and purchasing departments for all our companies at this location. We also have an internal main administration, which consists of finance, HR, IT and cafeteria/cleaning. In Flensburg, we have a warehouse that serves all our European (non-Norwegian) stores. Flensburg has proven to be a strategic position that minimizes the wait for our customers across Europe. We have 17 employees in Flensburg with seven different nationalities. 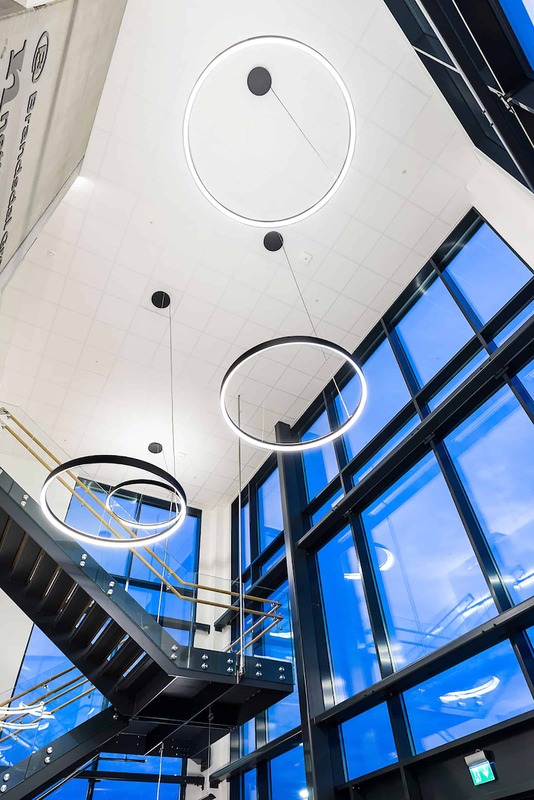 Have a look at our brand-new warehouse and office-building in Kristiansand, Norway. Brandsdal Group AS is a group in constant development. With our values of dedication, innovation, entrepreneurial spirit and righteousness worked into their spines, our outstanding employees pave the road for our continued growth. As a company, we appreciate the efforts and ambitions of our workers to expand their horizons, either in new marketing measures, developing our internal systems, improving our logistics or in launching our business ideas into new countries. Today, Brandsdal Group AS consists of the following online stores: Netthandelen.no, Brandsdal.no, Blivakker.no, Cocopanda.dk, Cocopanda.se, Cocopanda.fi, Cocopanda.at and Cocopanda.de. In addition, we have one physical store called Blivakker Markens. Netthandelen.no: Norway’s largest online auction site. Blivakker.no: Norway’s leading online retailer of beauty products. Blivakker Markens: Our physical store selling beauty products in the heart of Kristiansand, Norway.